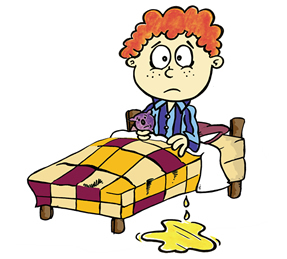 Bedwetting or nocturnal enuresis is a medical condition that is not uncommon in all of us. In one point in our lives, usually during childhood, specifically before we reach 6 years of age, all of us have tried voiding during our sleep. For children who are suffering from nocturnal enuresis, most of the time, treatments and remedies will not be needed since as children grow older, they will be able to outgrow their bedwetting problems. Only when bedwetting can’t be outgrown and suffered during older years, treatments and remedies may be needed to control or even stop the bedwetting problem. Magnesium is a type of mineral that is needed by the body. As a matter of fact, magnesium it the 4th most common mineral found in the body and is very important in maintaining normal body functions. Studies have proven that taking magnesium as a vitamin supplement can help in managing bedwetting problems. If you do not want to take supplementary magnesium supplements, then there are a lot of foods that are rich in magnesium. Green leafy vegetables, such as spinach, cabbage, and/or lettuce are good sources of magnesium, as well as whole grains. As mentioned above, children especially who are not 6 years old yet are not needed to undergo treatments for their bedwetting problems, but taking supplementary magnesium can be done to decrease bedwetting episodes of children, especially children who are affected with Attention Deficit/ Hyperactivity Disorder or ADHD. There was a study conducted last January 2000 by the Pediatric Nephrology that people or children in general who are suffering from bedwetting during their sleep excrete more sodium and magnesium in their urine, making their levels of magnesium and calcium in their system lesser than those children who do not normally suffer from bedwetting. In conventional treatment, treatments will be conducted or done when the child is older than 6 years of age. In a conventional treatment, the very first step or stage is the behavioral therapy. In behavioral therapy, waking the child in the middle of the night just to go to the comfort room to urinate or even asking the child to change his own bed sheet once he or she can urinate during his sleep are considered to be a technique in behavioral therapy. After the behavioral therapy, medications may be recommended. There are 2 types of medications that can help in treating or managing bedwetting, these are tricyclic antidepressant the Imipramine and the other medication is the Desmopressin acetate (DDAVP). Why are Boys More Prone to Bedwetting?